Minsi Trails Council Shooting Sports Committee is committed to serving in an ongoing manner the units and districts of Minsi Trails Council. MTC Shooting Sports Committee meets on the 4rd Monday of each month. The committee spends many hours each month in service, providing NRA course training and range officer support. The committee knows there are many more leaders and instructors who may be able to commit more time and energy than in the past. MTC Shooting Sports offers many opportunities for NRA basic and or advanced training. I agree to help the Minsi Trails Council, Boy Scouts of America in the creation and/or implementation of the year round shooting sports program within the Minsi Trails Council of the Boy Scouts of America. 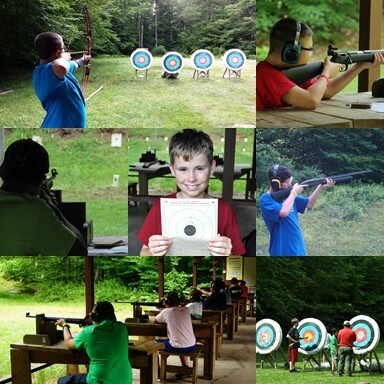 The purpose of this commitment is to provide the local Council with resources to help with the shooting sports merit badge program and the year round shooting sports program offered to Cub Scouts, Boy Scouts, and Venturing within the Council. I understand the importance and the necessity of my participation in order to assist the Council in a successful year round BSA shooting sports program. Help recruit at least one additional member to help promote the Shooting Sports Program within the Minsi Trails Council. Attend & support MTC Shooting Sports Committee run activities/programs. Attend MTC Shooting Sports Committee meetings each year. I understand that this is a voluntary commitment to BSA and the Minsi Trails Council Shooting Sports Committee that I am willing to fulfill this obligation to the BSA and the NRA for the training which I have or will participate in. I am dedicated to helping develop the interest in shooting sports in the youth of America by giving back to Scouting for what I have received. If your unit is interested in having a rifle/shotgun shooting event on a Minsi Trails Council property. Please follow the steps below. The Minsi Trails Council Shooting Sports Committee will make every effort to help with RSO's, Lead Instructors, Firearms, safety equipment, and service support for your event. Upon receipt of the application, the MTC Shooting Sports Committee will review the request, check individual availability, and follow up with the unit contact. Note: we cannot gaurantee the availability of ranges or equipment or facilites. Notification well in advance will help in the process. Ammunition will be the responsiblity of the unit/participant. Unit contact leaders should work with the MTC Lead instructor to determine ammunition specs. To request approval of a unit managed Shooting Sports Event on a Minsi Trails Council Property. First review the (SOP) Standard Operating Procedures. Bottom of this page. Upon receipt of the application, the MTC Shooting Sports Committee will review the request and follow up with the unit contact. Note: we cannot gaurantee the availability of ranges or equipment or facilites. The unit will be responsible for any rentals fees and or site fees. You can do this by reserving your facility here. Firearms, safety equipment and NRA Trained personnel will be the reponsibility of the unit. Ammunition is the responsibility of the unit/participants.